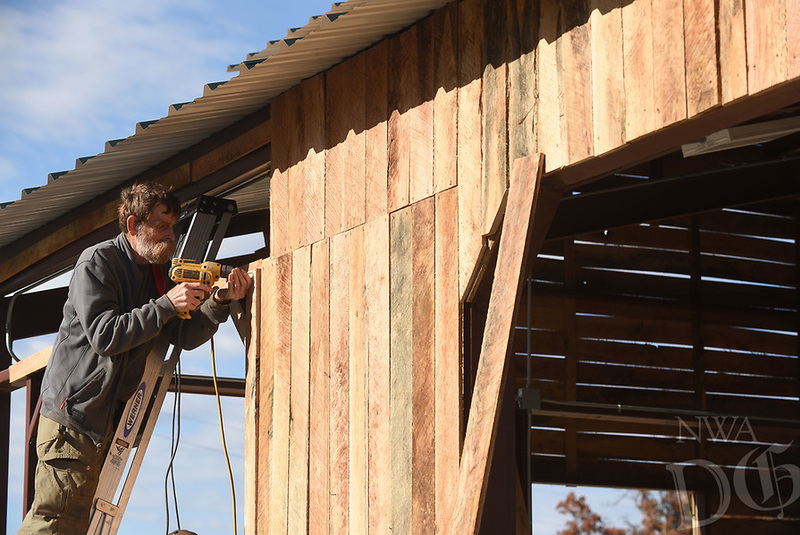 Tom O'Dell, Avoca interim mayor, installs Wednesday Nov. 7 2018 rough-sawn white oak boards on a pavilion being built at U.S. 62 and Rose Street in Avoca. The pavilion should be finished in 10 days to two weeks and available for public use on a first-come, first-served basis, O'Dell said. It has lighting and electricity. The pavilion is designed to resemble a railroad depot that was on the site, the mayor added.